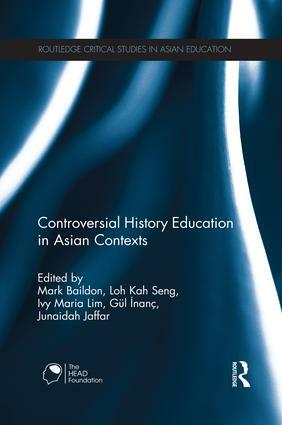 This book examines both history textbook controversies AND teaching historical controversy in Asian contexts. The different perspectives provided by the book’s authors offer numerous insights, examples, and approaches for understanding historical controversy to provide a practical gold mine for scholars and practitioners. The book provides case studies of history textbook controversies ranging from treatments of the Nanjing Massacre to a comparative treatment of Japanese occupation in Vietnamese and Singaporean textbooks to the differences in history textbooks published by secular and Hindu nationalist governments in India. It also offers a range of approaches for teaching historical controversy in classrooms. These include Structured Academic Controversy, the use of Japanese manga, teaching controversy through case studies, student facilitated discussion processes, and discipline-based approaches that can be used in history classrooms. The book’s chapters will help educational researchers and curricularists consider new approaches for curriculum design, curriculum study, and classroom research. The battle over the memory of the nation: Whose national history?